In the past month, we have posted a few stories on the South African Anti-Apartheid movement in Grand Rapids. One posting dealt with the campaign to pressure the City to divest from a bank, which had holding in South African, while the other posting was about the anti-apartheid organizing at Calvin College. The organizing around fighting South African Apartheid took place in Grand Rapids primarily in the 1980s. However, there was a great deal of organizing in the 1970s that laid the groundwork for the movement to grow and be part of a powerful international movement for justice. In many ways, one cannot ignore the fact that much of the energy and analysis around South Africa, was an extension of the growing anti-colonialist movement that was sweeping the world in the 1950s and 60s. The anti-colonialist movement was widespread throughout Africa, with South Africa struggling for freedom, along with Angola, Mozambique, Zaire and Algeria. This growing anti-colonialist awareness in the US was directly connected to the insurgent movements happening in communities of color, like the Black Freedom Movement, the American Indian Movement and the Chicano Movement. These movements were in many ways modeling themselves on the international struggles for liberation and using very similar analysis for fighting oppression here in the US. 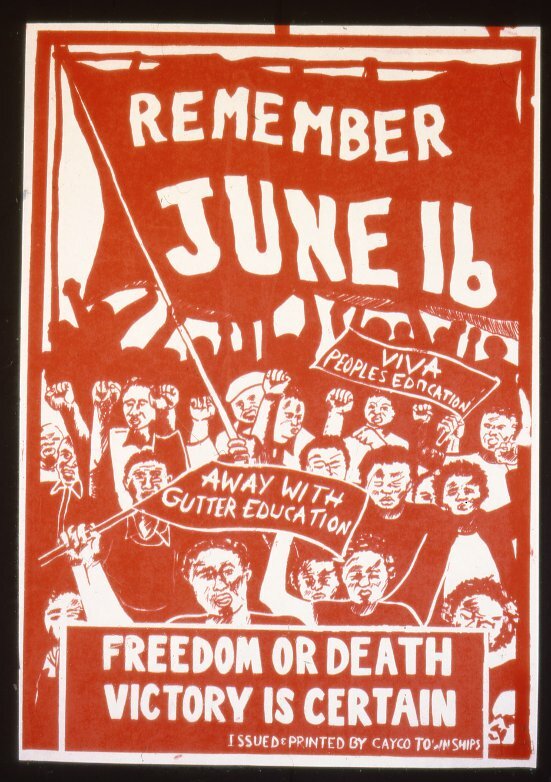 Lastly, it is important to acknowledge that another factor in putting South African Apartheid on the radar for US grassroots groups, was the struggle in South Africa itself. The work of the African National Congress (ANC), the imprisonment of Nelson Mandela and the ongoing brutality of the White South African Government all contributed to people being engaged in this issue. One incident that was a catalyst for action was the Soweto uprising. In 1976, thousands of Black South African high school students took to the streets to protest the brutality of Apartheid. This uprising was met with harsh government repression on June 16, 1976, where hundreds of students were killed by South African police. It is in this context that organizing around South African Apartheid began in Grand Rapids. According to some recently acquired documents, people from Grand Rapids were attending meetings in Detroit and Lansing around South African Apartheid as early as 1976. Mark Kane, who was at the time working with the Quaker organization, the American Friends Service Committee (AFSC), was one of those in attendance at these meetings. Another Grand Rapids-based organizer was Jaffray Cuyler, also with AFSC. The American Friends Service Committee had an office in Grand Rapids in the late 1970s, located at 28 1/2 Jefferson SE, which later moved to 25 Sheldon SE. The work that Mark Jaffray and others were doing in conjunction with groups in Detroit, Ann Arbor, Kalamazoo and Lansing, are reflected in this 1979 document, which were minutes from a statewide meeting of the AFSC Southern African Task Force. This task force was developing a campaign, which consisted of numerous actions and strategies. 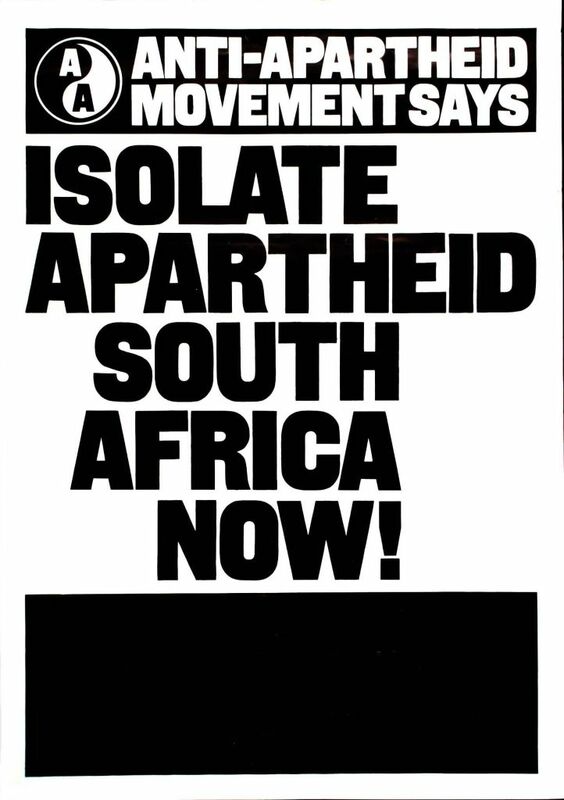 The growing anti-apartheid coalition wanted to do significant outreach and education around the issue of South African Apartheid. The organizers were using an array of educational forums that included speakers, Teach-Ins and pamphlets, like this one that was developed by a group in Dayton. This pamphlet provides basic background information on South African Apartheid, but it also has a list of additional information resources and ways to be involved in the campaign. Another powerful educational tool was the smuggled documentary film, the LAST GRAVE AT DIMBAZA. In addition to the education efforts, the task force also was working on building a larger coalition, doing media work, identifying corporations invested in South Africa and challenging US policy that was deeply in support of the racist White South African Apartheid government at the time. Here is a document from 1977, that lays out the broader strategy of the task force. One can see from the documents that the Grand Rapids office of the American Friends Service Committee was deeply connected to the statewide organizing at the time. In our next posting we will look at how their organizing impacted organizing locally and which groups were involved in the campaign. This entry was posted in Anti-Apartheid Movement and tagged Grand Rapids American Friends Service Committee, Grand Rapids Anti-Apartheid Movement, roots of anti-apartheid organizing in Grand Rapids, South African Task Force. Bookmark the permalink.